Office 365 is great at what it does, you should use it! Office 365 is a suite of Cloud based applications provided by Microsoft. The most commonly known is the ability to host your email on the equivalent of an On Premise Microsoft Exchange Server. This means your version of Microsoft Outlook on any of your devices, PC, Laptop, Tablet or Phone connects to Microsoft’s Office 365 Cloud platforms and provides all the features you are used to and more. 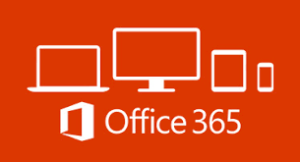 However there are many other benefits of the Office 365 products and plans, including the ability to license the Office 2016 Suit of products (Word, Excel, Power point, Outlook, Publisher & One Note) for up to 5 copies per staff member and on some plans the ability to license office for a Remote Desktop Server environment. Team Chat services, Video Conferencing, Online Presentations, One Drive and Skype and much more. At PBT we have refined the implementation process of moving customers across to Office 365, minimizing downtime to our clients, and ensuring a smooth transition. To discuss the benefits of moving to Office 365, please contact us by giving us a call on 1300 720 767 or by completing the online form below.